Knebworth Park’s stop-start season stuttered again when they were soundly beaten by Harpenden II on Saturday. 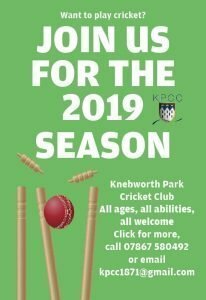 Having lost the toss on an excellent batting wicket at Knebworth, the Park came to rue missed catches and close calls, as the visitors piled on 311 for 6. After Charlie Randall caught and bowled opener Tom Beasley for 20, Adam Winchester (100) and Jake Pankhurst (117) struck a second wicket partnership of 187 which was broken when Winchester fell lbw to Wasim Khalid, who was the only Park bowler to record economical figures with 1 for 43. Matt Hutchinson (3-54), however, picked up crucial wickets that gained precious points. In response, Knebworth were fast out of the blocks as Mo Asif (37) and Adam Sergeant (43) were in blistering form during an opening stand of 57 in just six overs. But when Asif was caught behind, the innings lost momentum, especially after Sergeant was cruelly dismissed when he dug out a yorker that ricocheted on to his stumps. Later, David Steadman (20) went in similar fashion after he and Ryan Skeggs (40) had batted sensinsibly and promisingly in a partnership of 49. In the end, they were all out for 187, which meant they collected 12 points from the game, leaving them still in danger of relegation which will all be decided in the last round of matches this Saturday. 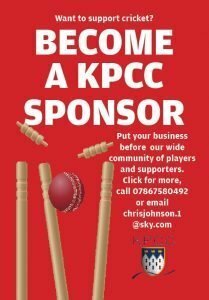 While the first team played on a bone hard pitch, the Seconds travelled to Luton where Lutonians surface was very wet and when it rained heavily, the game was abandoned with Knebworth going well at 96 for 1 with Louis Clayton 43 not out and Mason Tewkesbury 27 not out. By taking 10 points, it ensured the Park eliminated any danager of relegation. James Roos marked his third team debut with a hat-trick in taking 3 for 20 against Totteridge Millhillians 3rds. Kobie Richmond (3-31) and Danny Digweed (3-6) were the other bowling successes as they bowled out the home side for 158. On a wicket where batting was tough, Digweed struck 25 as his side was bundled out for 80. The Fourths suffered at the hands of Hertingfordbury II, whose openers piled on 270 for 2. Phil Wheeler (50) and John Inman (55) both hit half-centuries in reply in taking the total on to 181 for 8 on another good batting surface at Knebworth.